From 1901 to 2005, more than 200 villages were believed to have been engulfed by desert in Nigeria’s Northern Region on account of climate change. In this report, Ochiaka Ugwu examines how desertification is fuelling migration in Maisandari farming community. Sagir Umar has lived in the sleepy town of Maisandari, about 18 kilometers to Damaturu, the capital of Yobe State in the North East of Nigeria, for more than five decades. A proud farmer, Umar has tilled the land for the better part of his life. He said that he has depended on farming to feed his household of his three wives and 13 children. But today, the whole situation has changed and Umar has found himself struggling between uncertainty and reality. The uncertainty is because the land has just refused to cooperate with him and has failed him woefully by turning to dust before his very eyes. On the other hand, he is contending with the reality of leaving his Maisandari haven in search of arable land for his farming activities as many of his town men have done. Umar’s plight is a result of desert encroachment that is fast taking over the land. He said, “I remember the good old days, when nature was cooperating with us. The land, rainfall, sun and god of fertility were very generous to us. They were all on our side, but today the trend has changed. Imagine me a great farmer of note can hardly feed my family. I am ashamed of myself and most times my eyes will simply refuse to sleep due to the low harvest I have been witnessing of late. “Once a fertile land has suddenly turned to ashes producing little or nothing during harvest, I first contemplated quitting farming, but if I quit what else will I do?” a visibly disturbed Umar asked rhetorically. Umar said that migration remains a big option for him like most of his town men that found themselves in the same situation have done. He said that nature just decided to punish them by turning their land to dust as a result of evil deeds of some people which the land abhors. Indeed, Umar is just one of the would-be climate migrants whose land has been rendered ineffective because of desertification caused by climate change. The United Nations (UN) predicted that over 50 million people will be forced to leave their homes in sub-Saharan Africa by 2020 as a result of desertification. This is already happening in some parts of North East Nigeria. 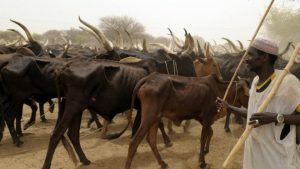 Sadly, Sagir Umar is not the only one singing this song of lamentation, a cattle herder, Ibrahim Abdulahi lamented how his cattle have been malnourished and some even died due to lack of pasture land. 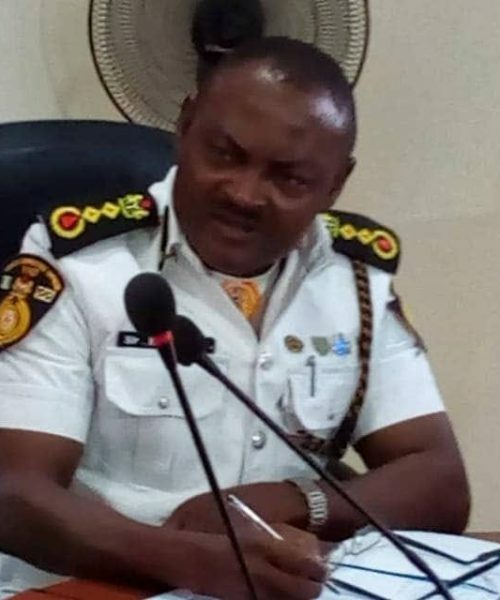 Abdulahi said the condition is getting worse by the day as they are compelled by the prevailing reality to go far away for their cattle to feed. He remembered how the whole place was formerly fertile and green which made their cattle-rearing business flourish, but the trend has changed as the desert has engulfed them. “The situation is becoming complicated given the fact that we have to walk miles to get pasture for our cows. In the process of walking long hours some cows will dislocate their legs and it means you must go to get a vehicle to convey them home and seek medical attention from a veterinary doctor. All these are unnecessary expenses we incur in our daily activities of cattle-rearing business”. A vegetable farmer, Haruna Anas said that the circumstances he found himself are better imagined than told. He recalled how he was a major supplier of vegetables to most traders that came from the length and breadth of the region. But he said that today he can hardly grow vegetables that can serve his immediate environment. “This condition is disturbing (shaking his head). Look at me that was a major vegetable supplier to almost all vegetable sellers in this part of the world. I have suddenly become a mere subsistence vegetable grower. I wish the good old days will come to be again and the areas replenished as before”. 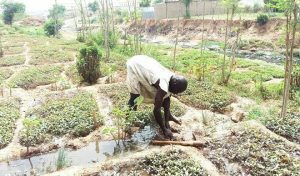 Most vegetable farmers have migrated to river banks to grow vegetables, but Anas said he has no such plan as it will never be like before. He even detests the conditions set up by the management of the river bank which does not allow farmers to sell their produce on their own. They sell now through a middleman which he said gives way for exploitation. However, Sadiq Uba, a rice farmer who has embraced irrigation farming since rain became rare took me to his irrigated rice farm, which he is managing with his younger brother Ismail. He explained how the place was before scarcity of rain took toll on it. Sadiq, recalling the past said, “At infancy, I remember how my late mother will warn me against going far into the forest for fear of reptiles like snakes. Then, the vegetation was high with trees and grasses all over the places and you don’t even need this irrigation. “Looking at it today, it has become a ghost of its former self. It can’t even grow anything except with the help of irrigation which I am presently doing now. Most of my people have migrated because irrigation maintenance is another problem on its own”. Each year, according the UN, not fewer than 12 million hectares of land are lost. These lands which can as well grow about 20 million tonnes of grain are capable of feeding a larger population and ensuring food security. Indeed, people whose life activities cannot sustain their existence always tend to migrate for a better living condition and this is the situation in Maisandari. This best explains the decision of Sirajo Abubakar who may have concluded plans to migrate to Benue though located in North Central Nigeria. Abubakar, a millet farmer has endured many poor harvests and could not stomach them anymore. He said that lack of rain and desertification has forced him into the hard decision of leaving his homeland for a new place entirely. He acknowledged that the challenges of relocating to a new environment are enormous but said it is better than staying in a place that will not offer one means of livelihood. Abubakar who lamented how he had planted hectares of millet in the hope of selling them to help his household and expand his farming business said he was disappointed by the poor yield. “I have been a successful farmer all these years but fewer rains and soil erosion have affected my harvest greatly. These have left me with no alternative than to migrate where I can see arable land for a new beginning. It may not be easy settling down there, but is a reality I must contend with to survive”. Abubakar noted that before now, when there was more rain, farmers were able to produce plenty which gave them hope of expanding their farmland. “When things were normal, we did live on the crops and even have enough to sell and make additional money. It was all encouraging, not until desertification dealt a fatal blow to us making it hard for us to even recoup money from our sales for the next planting season. It is so bad that most of us have been displaced by these current realities. “If not for money, we would have gone into irrigation farming. At least we could make do with vegetable farming and other crops that help to keep body and soul together”. 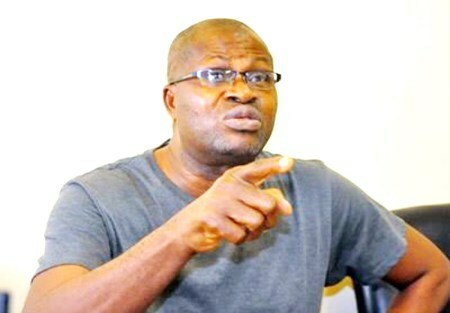 Ababakar said that this clear reality of existential threat has forced people to leave in droves in search of friendly vegetation areas that will offer them opportunity to farm again so that they will have value for their labour and money. “To be honest with you, most farmers and herders here have been forced to migrate. It was not their wish to leave their ancestral land in droves. It was as a result of harsh realities staring them on their faces”. To add to the difficulty, there are not many social amenities in the town. This has caused most youth to migrate without having a second thought. “Many of our young people have left us to find better opportunities in the South or Middle Belt. Some have gone to Abuja while others are planning to go to Europe through the Mediterranean Sea that has become a pool of blood”. “It is very painful seeing young productive youth that are suppose to develop our village leaving us to our fate. We would have asked them to stay back to develop the village, but they have to face reality as there is no opportunity in the villages” Abubakar said. The Great Green Wall Scheme led by Director General of National Agency for Great Green Wall, NAGGW, Nigeria, Mr. Goni Ahmed, is said to be an incredible human initiative that aims to sustain the ecosystem that confronts people who are building their future. 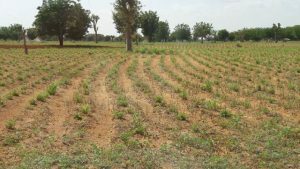 The scheme is trying to slow the effects of desertification by tree planting. Ahmed said the Great Green Wall project will improve the livelihoods of over 25 million people in the Northern states of Nigeria by 2020. He said the project is aimed at providing food, jobs and a future for millions of people who live in the region on the frontline of climate change, which Maisandari is part of. It is being implemented in 11 frontline states most affected by desertification. Ahmed, who listed the states as Adamawa, Bauchi, Borno, Gombe, Jigawa, Kano, Katsina, Kebbi, Sokoto, Zamfara and Yobe which Maisandari is part of, said they are focusing on achieving natural resources conservation and development; strengthening social infrastructure, especially in rural areas, and diversification of economic activities to improve living conditions of the rural communities. 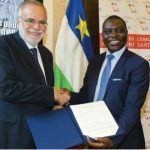 “With the framework of the GGW programme, the target is to rehabilitate about 22,500square kilometers of degraded land in the dry region of the country and develop the livelihoods and boost climate change mitigation and adaptation” he said. Since the initiative commenced in 2013, Nigeria has been able to provide sources of clean water to over one million people in the affected areas by constructing 157 boreholes with reticulation facilities, animal drinking troughs along GGW passage. Accepted that the scheme is planting trees that will halt desertification which can only have impact in 10-15 years time, but the question is “Who is ready to wait till then before migrating to a fertile land?” The answer is; nobody is willing to wait all that long. The Nigerian government while launching the Nigeria’s component of the Great Green Wall Programme said the programme was ideal for a new environmental management to overcome the problems of desertification. The then Minister of Environment, Mrs Hadiza Ibrahim Mailafia who performed the ceremony in Bachaka, Kebbi State, said that the programme was a 7,775km long and 15km wide transcontinental forest belt extending across 11 countries from Senegal in the West to Djibouti in the East. The former President of Nigerian Environmental Society, Mr. Uche Agbanusi said that tackling desertification needs concerted effort by all. He said there is need for the push for a greener earth and that climate change is everybody’s concern as it affects all. He concluded by saying that “We are at war with the environment”. Despite all these efforts to halt this population movement, day by day, people continue to take their leave. To them, the other side is greener and could offer better opportunity. It is natural for people to dream of a better life. The social train is moving very fast and no discerning mind will consciously allow it to pass, especially when it has goodies to offer. The bitter truth is that more and more rural communities in the North East are at the mercy of the climate and migration seems to be the only option if not the best. Pressed hard by the desert and poverty and pulled by opportunity and greener pasture, a lot of youth from Maisandari and other North East zone communities may just be waiting for the migration train to arrive. This can only be truncated if something is done drastically and urgently to cushion the effect of desertification on the daily activities of these peoples.